361.02 sqft. - 612.04 sqft. Located near New Panvel in Navi Mumbai, Priyal Govind Harmony is an upcoming residential project from Priyal Group. The project ready-to-move and offers all lifestyle facilities that make for a comfortable lifestyle. Priyal Govind Harmony has . Restaurants, banks, hospitals, ATMs and schools are all within the vicinity, making everyday life easy. New Panvel is also well-connected by public transport with other parts of Navi Mumbai. Strategically located off Mumbai­Pune Expressway, New Panvel West is an upcoming locale in Navi Mumbai, Maharashtra. Greater Khanda link road and Maharashtra State Highway 76 are the two important roads that connect this area to other parts of the region. Khanda Colony, Motha Khanda and Khandeshhwar are the main areas in this locality. Khandeshwar Railway Station, Mansarovar Railway Station and Kalamboli Railway Station are the important railway stations in close proximity to this region. Chhatrapati Shivaji International Airport is a short drive away from here. New Horizon Public School and Changu Kana Thakur Arts, Commerce and Science college are few of the well known educational institutions in the vicinity. The existence of all the basic establishments and good connectivity avenues have transformed this area into a promising Real Estate destination. 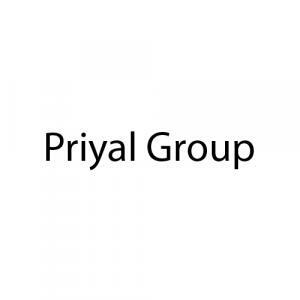 Priyal Group is one of the best construction companies in India that not only comes up with innovative residential projects but also industrial construction projects. They motivate their staff to transform all type of ground breaking ideas into reality. The team has functioned with the greatest standard and quality in every project they embark on. They are now stepping in making some difference in the global skylines. Commitments are fulfilled as they always lay emphasis on the customer’s delight. Mr. Laxmikant Krishnarao Deshpande is the founder of the company having over two decades of experience heads the company to the way to success. They make sure that managerial and administrative prowess go hand in hand with creative skills and sound technical know how, to deliver to every customer, spaces designed on pure intelligence.